Have you ever wondered if incorporating hip hop into a youth ministry is wise? It does seem to be a last resort if your goal is to attract young people. However, A Divine Revelation of Hip Hop gives caution to those who have invited this form of music in because of its popularity, and call it worship. 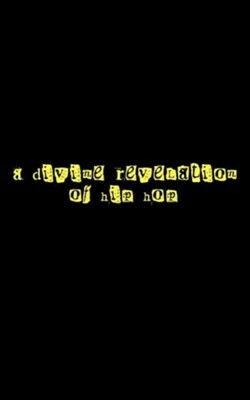 A Divine Revelation of Hip Hop explodes with insight into the stronghold of this music. The root of this genre extends further than Brooklyn and the South Bronx, New York. You will read bold revelations that show how Hip Hop became infused with profane and perverse lyrics traveling on beats that war for your soul. Together they seek to destroy a generation and infiltrate and entire world. From the perspective of pop culture, everyone agrees it has gone too far. So that leads me to this question, can Hip Hop be Holy? Only a few will dare to dig deep. Since childhood, Kelly has served in various ministry capacities including teaching, missions, choir, and leadership. On all levels, she has provided administrative expertise to help build businesses and ministries in Milwaukee, Chicago, and the Atlanta Metropolitan Area. Many opportunities were seized to witness to everyone including dignitaries, business leaders, celebrities, and professional athletes. With a natural love for reading, a gift for writing books, newsletters, screenplays, music and journals soon developed. A native of Milwaukee, Wisconsin, Kelly currently resides in Atlanta, Georgia with her Husband and their three children. Also having an entrepreneurial spirit, the Lord allowed Kelly to become a business owner and founder of a non-profit organization & Evangelist Media Inc. Her education includes studies in Criminal Justice and state certification in Early Child Care Education. She also holds a Master Certificate in Strategic Organizational Leadership. Her hobbies are art, music, and reading history. With much prayer, fasting, and tenacious intercession, a voice for our generation has been birthed International Opportunities for ministry exist for Kelly in Canada & Peru. I'm the author/artist and I want to review A Divine Revelation of Hip Hop.